St. Patrick’s Day is a great day to incorporate fun gross motor games. As someone who is always searching for different ways to incorporate movement with different themes I’ve decided to put some of my favorites all in one place so they are easy to access and easy for others to find. 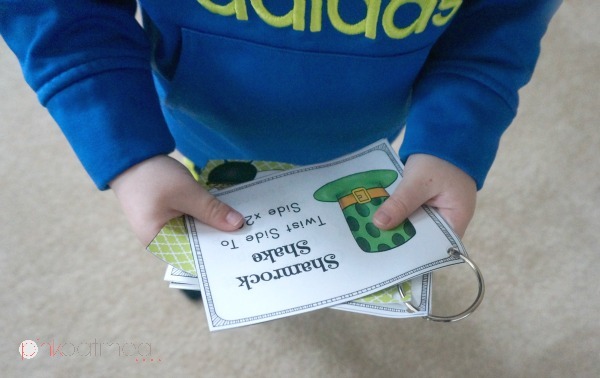 Here is the run down of some great looking St. Patrick’s Day gross motor activities! The Rainbow Relay is a great way to get some movement in while learning the colors of the rainbow! Sticking with the rainbow theme try Popping A Rainbow Alphabet Game and learn letters while moving. How about a digital game that includes Gross Motor Activities? 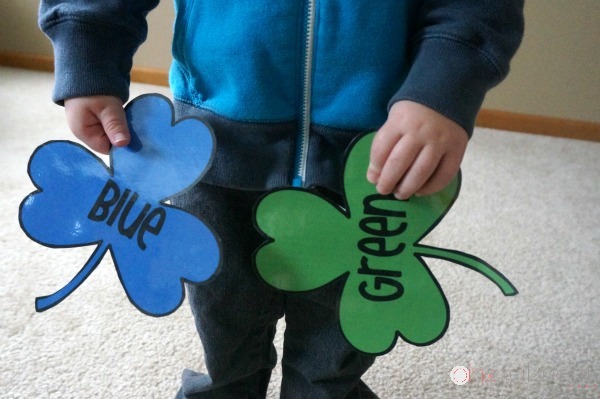 Check out the St. Patrick’s Day Brain Break Games! The Clover Hop is the perfect way to get some of those wiggles out! Rainbow Running adds a fun sensory component to the movement game! The Rainbow Ribbon Run is a fun and simple way to move! Try add yoga to your St. Patrick’s Day with St. Patrick’s Themed Yoga poses. You have to check out these ideas! Are you looking for something that incorporates a little throwing check out the Rainbow Throwing Activities. Looking for something fast, fun, and effective that needs very little space – check out these St. Patrick’s Day Brain Break Ideas. The Rainbow Scavenger Hunt incorporates lots of gross motor moves! Add a little math and movement with the Shamrock Number Line Scavenger Hunt. 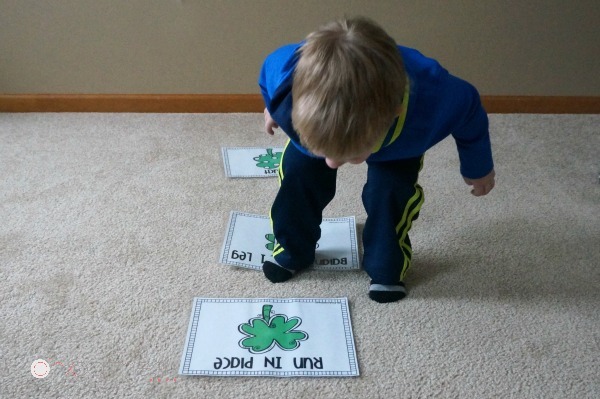 The St. Patrick’s Day Gross Motor Math Activity is another fun way to add math with movement. Get out some yarn and Hunt For The Pot O’Gold! Use streamers to Weave Through The Rainbow. 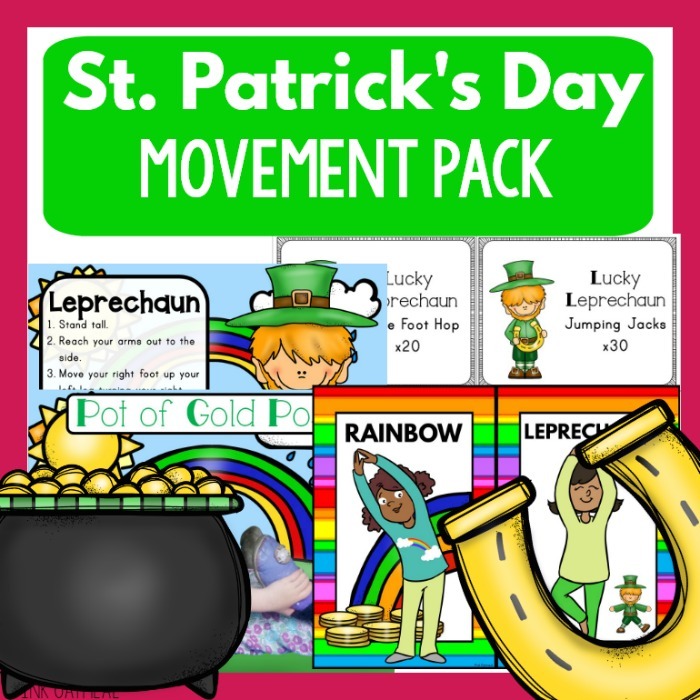 Have some fun moving while you Dance Like a Leprechaun! Check out this fun Rainbow May I Game to add a twist to the traditional Mother May I! Try Musical Shamrocks and add a variety of gross motor moves! Imagine how great it would feel to have all of your St. Patrick’s Day movement activities created and ready to use! Not only would you have it all, but you could feel confident knowing that your kids (and you!) are having fun with physical activity and movement! You will have activities for St. Patrick’s Day that your kids love. You will have screen free activities to promote movement. You will have fun activities for your brain breaks, morning meetings, home or therapy sessions. You won’t have to be spending time searching and creating your own resources, it’s all done for you! Buy now and save yourself time and money! 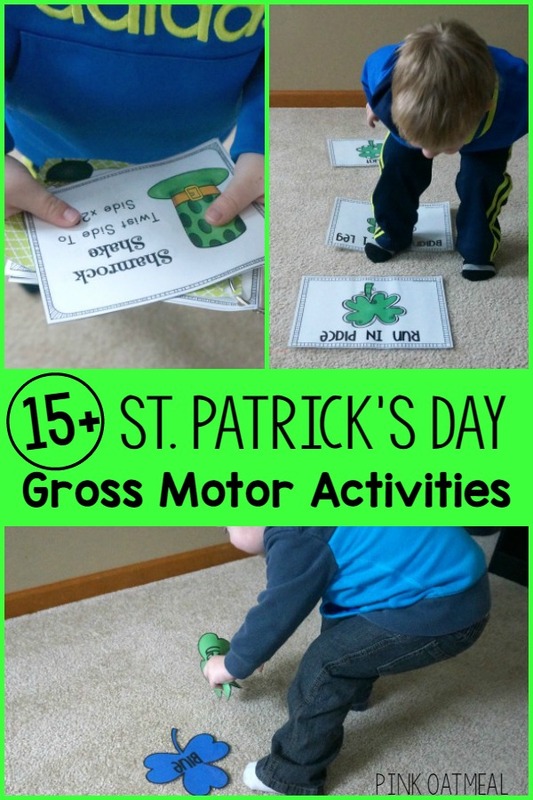 Do you love the idea of fun St. Patrick’s Day movement and gross motor activities? Would you love having it all created for you so you can save time, effort, and money? Pink Oatmeal has done just that for you! Get EVERYTHING in the St. Patrick’s Day Movement Pack. This is available for you at a major discount in the shop.